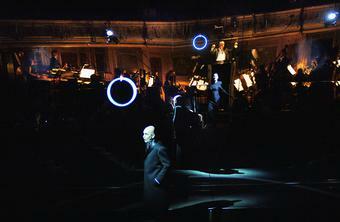 The opera Phaedra by German composer Hans Werner Henze was commissioned by the Staatsoper in Berlin and premiered in September 2007. 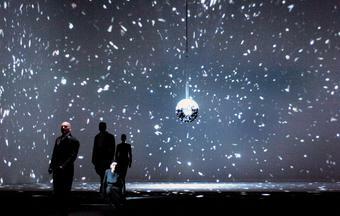 Eliasson created the spatial concept. 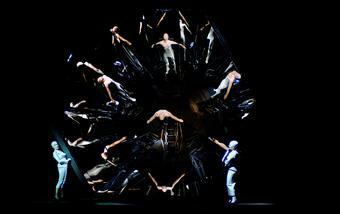 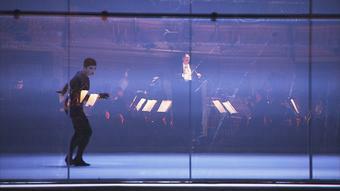 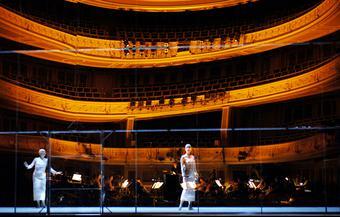 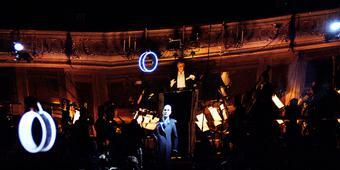 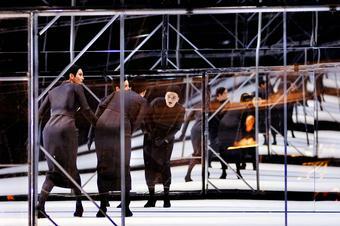 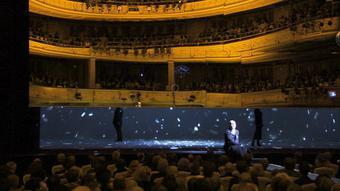 The focus of the individual scenes alternated between the music and the visual elements. 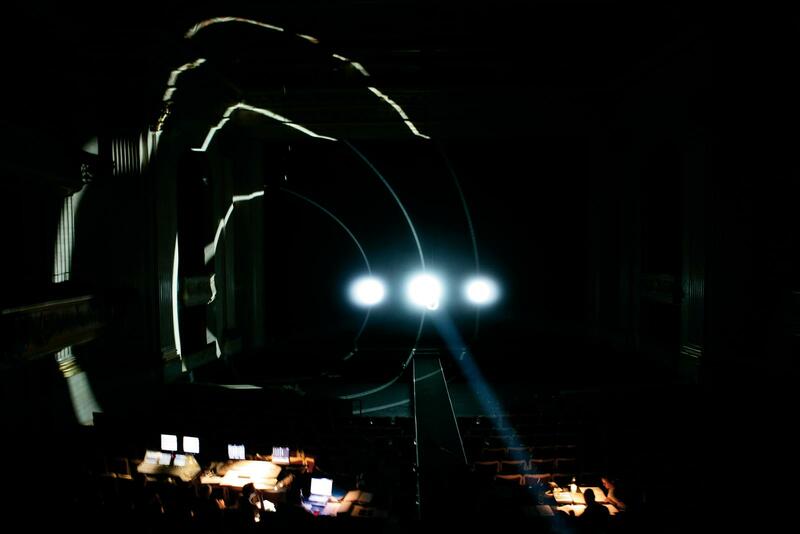 These comprised monofrequency lights; a kaleidoscope; the works Your space embracer 2004 and Square sphere 2007; and a vertical mirror that spanned the entire stage and reflected the audience as well as the orchestra, which had been moved to the back of the auditorium. As a spatial modifier, the mirror could be made semi-transparent, thus allowing the singers to stand behind it and still be seen. 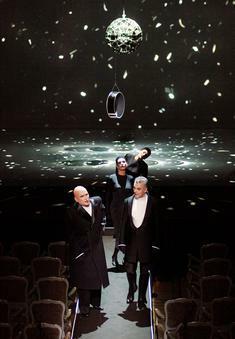 A walkway connected the stage and the orchestra; this was used by the singers throughout the performance. In an interplay with the visual components, this expanded and emphasized the relationship between auditorium and stage, performers and audience.